There is nothing like the taste of fresh fruit and vegetables but if you live in an apartment or high-rise condominium you may think that growing them yourself is just not possible. The reality is that even the smallest balcony provides enough space to grow delicious produce and it is not as difficult as you might believe it to be. 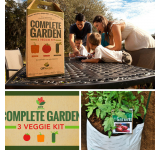 There are even pre-packaged kits such as our urban gardening kit that provide all of the materials you need from the soil and container to the seeds. 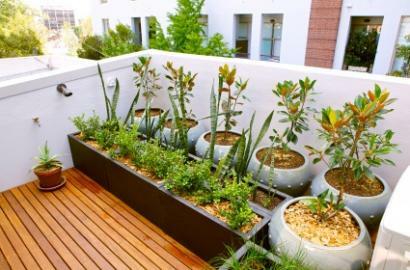 Bigger is Better When it Comes to Containers - Containers have a tendency to dry out quickly so the bigger the container the less frequently you’ll have to water your plants. In order to make the container a little lighter and easier to move around if that becomes necessary you should line the bottom 1/3rd of the container with crushed aluminum soda cans or smaller plastic bottles. It’s All About the Soil - The soil you put in your container needs to be nutrient-rich as well as having good drainage. 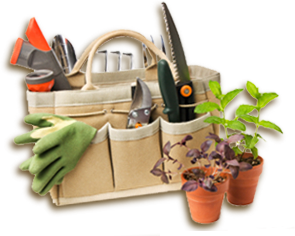 Loose, friable soil is going to enable the roots of your plants to spread out and grow deeply. There are soil mixes that are specifically manufactured for containers and those are probably your best option unless you have access to a supply of compost. Don’t Forget the Flowers - If you plan to grow Tomatoes, Peppers, Cucumbers or other vegetables whose fruit originates from the flowers that the plant produces you’re going to need to attract pollinators like bees and butterflies. Growing flowers that attract bees such as Zinnias, Sunflowers, and Coneflowers along with your vegetables is a sure fire way to get your crops pollinated. 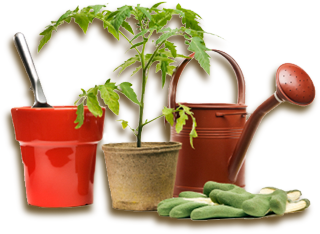 Start With Something Easy - If you’re new to gardening don’t be afraid to start out growing plants that are easy to work with. Lettuce, Radishes and many Herbs are great for containers and produce a good sized crop without a lot of effort. 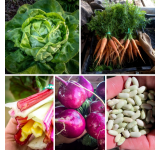 Don’t Forget the Fruit - Vegetables and Herbs are at the top of every gardening list but don’t forget that there are fruits that are easy to grow too. Strawberries are easy to grow even in small pots and there are varieties of Blueberry that have been developed just for containers. So, if you have a balcony, patio or other similar space why not try growing something good to eat! You’ll be happy that you did!